Bernie Faloney was known for his leadership and intensity to win. He excelled in several sports during university, and turned down offers to play pro baseball. During his career, Faloney completed 1,493 passes for 24,264 yards and 151 touchdowns. He is tied with fellow Hall of Fame member Russ Jackson for the most passes attempted/passes complered in the Eastern Conference in 1963. 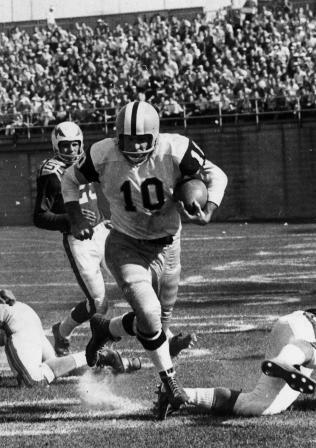 Bernie Faloney was the first player to quarterback both Eastern and Western teams to Grey Cup victories.